In 2017, Georgia authorities convicted 22,955 motorists of driving under the influence (DUI).1 If that number startles you, it should. Both local and state police are always on the lookout for impaired drivers. And while nobody wants to be pulled over by the police for suspicion of driving while impaired or intoxicated, if it does happen to you, you should be aware of your rights and responsibilities. If you are pulled over or are stopped at a sobriety checkpoint, there are a few things to keep in mind. If you are pulled over by the state or local police, you are expected to comply with all the officer’s requests. The officer will ask to see your driver’s license and vehicle registration—both to establish your identity and ownership of the vehicle and to check for outstanding warrants or prior arrests. Be patient—the process can take a few minutes. You do have the right to ask the officer why you were pulled over and whether you are being detained, but remain calm and polite. Being noncompliant or belligerent will only hurt your case and likely make arrest inevitable. If you have any medical conditions that may result in impairment (such as diabetes, seizures, or prescription medication interactions), or if you require medical attention, notify the officer immediately. Many conditions, including driver fatigue and hypoglycemia, can mimic drunk driving. If you are pulled over under suspicion of DUI, the officer may ask you to step out of your vehicle and perform a field sobriety test. This typically will include several basic tests of your coordination, balance, memory, and reflexes. The officer is also likely to check for other signs of intoxication such as slurred speech or difficulty complying with requests. These tests are typically administered more to bolster the officer’s claim that you are impaired than to determine whether or not to arrest you. You DO have the right to refuse a field sobriety test if you choose. However, an officer may place you under arrest to conduct other tests—including blood, breath, or urine tests—to ascertain your degree of impairment. These tests will be administered at the police station after your arrest, and you may NOT refuse them. 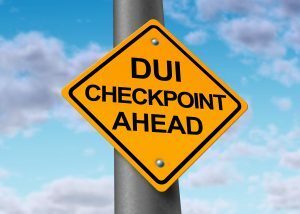 If you are pulled over for suspicion of DUI, you may be tempted to call your attorney immediately, while the traffic stop is still in process. There’s little advantage in this, however, as your attorney will need other information—such as the exact charges against you and the location where you are being held— before being able to help you. Once you are arrested, you may request a phone call to your attorney at that time. After appearing before a judge or magistrate (your first court appearance), the charges against you will be detailed and a bail amount set. Most DUIs are bailable offenses unless issued in conjunction with more serious felony charges. If you don’t have the resources to pay the full bail amount required by the court, a licensed bail bondsman can help. Don’t let a DUI arrest cause you to miss important work or family obligations. If you are jailed for DUI, contact Bond James Bond. We can help secure your release quickly and ensure that you make all scheduled court appearances. Bond, James Bond, Inc. can handle any size or type of Georgia bail bonds in Barrow County, Bartow County, Cherokee County, Clarke County, Cobb County, Floyd County, Gordon County, Gwinnett County, Paulding County and Polk County. We are always open - 24 hours a day, 7 days a week including holidays. We have 11 locations which are conveniently located to serve you better. Visit us at www.bondjamesbondinc.com, or call Bond, James Bond, Inc. at (678) 825-3436.